At Canyon Crossing Recovery we believe in teaching women how to live life on life’s terms while providing them with clinical care in a therapeutic environment. The women of Canyon Crossing Recovery will participate in our state licensed Intensive Outpatient Treatment Program and our structured women’s Transitional Living Program in Prescott, AZ. Combining these two treatment elements has proven to be extremely beneficial in providing women with long term sobriety. Women in our transitional living program learn to participate in life again while being coached and guided on appropriate ways to handle life’s ups and downs. The structured transitional living environment provides women with a structured schedule to adhere to, as well as learn and grow from. The schedule is comprised of essential life skills workshops such as time management, communication skills, resume building, financial management and personal responsibility. We also believe in helping women incorporate the 12 steps as actionable steps in their lives. Socially, women will be immersed into our sober environment and a thriving community fellowship throughout Prescott, AZ. While engaging in our transitional living program women are able to learn about themselves, as well as what and who they would like to become. They become empowered to reach inside and find their inner truth, allowing them to do the work necessary to gain the ease and comfort they desire. They will be coached and guided by both our staff and mentors, enabling them to gain the independence they desire. Canyon Crossing women will learn to be a part of their community not only while at home, but also as an active member in society, through learning about accountability and what it means to have lasting healthy relationships. One of the biggest assets of our transitional living program is the amount of accountability we foster. We have found that although it may be uncomfortable, the women who choose to push through the discomfort of holding themselves and others accountable gain meaningful long term sobriety and relationships. Through Canyon Crossing Recovery’s transitional living program, women will learn to utilize the tools of recovery to achieve the life they have always imagined, but never thought possible. Contact us today to learn more about what our program has to offer. 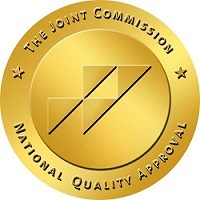 Canyon Crossing Recovery is proud to announce that it has earned The Joint Commission’s Gold Seal of Approval® for Behavioral Health Care Accreditation by demonstrating continuous compliance with its performance standards. The Gold Seal of Approval® is a symbol of quality that reflects an organization’s commitment to providing safe and effective care. Canyon Crossing Recovery underwent a rigorous on-site survey in September 2015. During the review, compliance with behavioral health care standards related to several areas, including care, treatment, and services; environment of care; leadership; and screening procedures for the early detection of imminent harm was evaluated. On-site observations and interviews also were conducted.